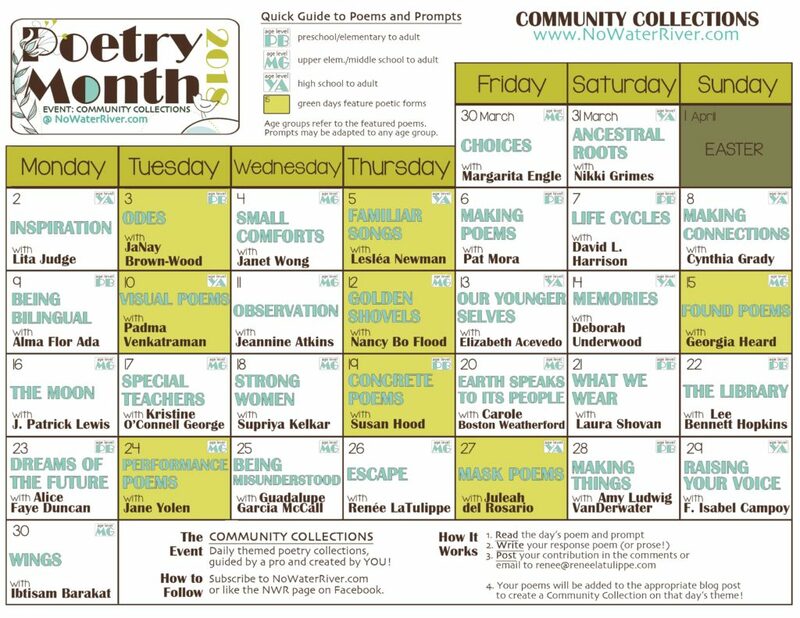 Welcome to Poetry Month 2018 at No Water River! Please take a moment to peruse the how-to below, and then dive in! Happy writing — and thank you for helping to build our collection(s)! 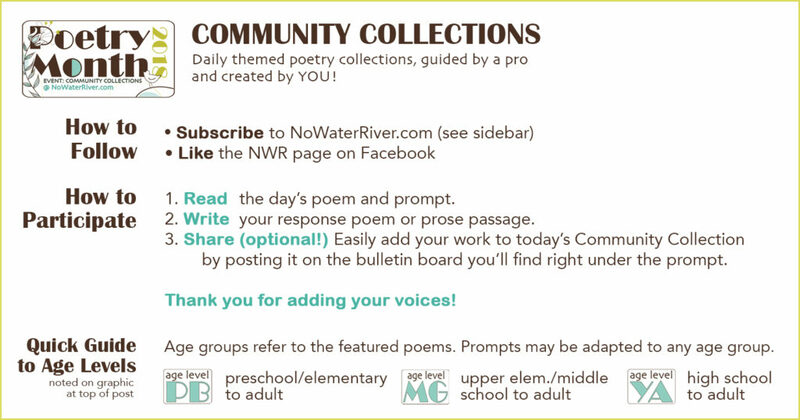 Remember: The Community Collections are open indefinitely, so you can visit each post at your leisure to add your poem! Thanks to Juleah and the publisher, Simon Pulse, for this exclusive sneak preview of Juleah’s debut novel, 500 WORDS OR LESS, coming out in September 2018. I have a red teakettle that has sat on the back burner in every apartment that I’ve lived in. It is a constant in my adult life that has been, at times, unstable. I think we often have objects in our life that we project emotions onto, out of a need to feel, perhaps, a little less alone, a little more human when surrounded by stuff. For this exercise, think about one or two objects in your everyday life, and write a poem about the emotional state these objects. What do they feel? What emotions to they project and convey? How do you react to their emotional state? POST YOUR POEMS AND PROSE HERE! 1. Click the pink + circle on the bottom right. 3. Don’t forget to include your name/copyright (e.g., (c) 2018 Gladys Poet)! 4. To make it stick, click on the background pic OUTSIDE the white area of your post. 5. Use the tools on the bottom of your post to easily upload images. 6. 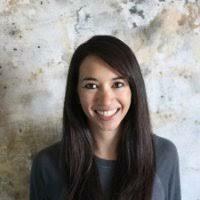 Scroll to read and comment on others’ work! 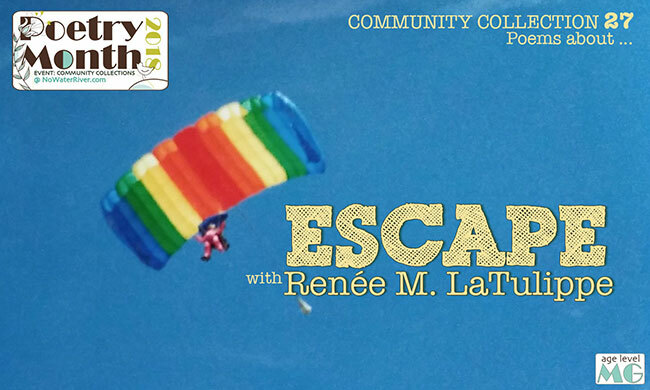 If you have any trouble posting your poem, you may email it to me at renee@reneelatulippe.com and I will post it for you! 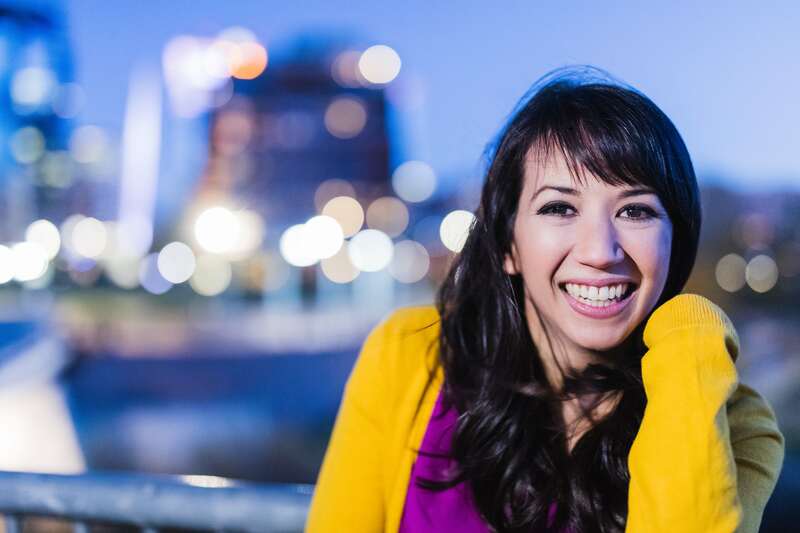 Juleah del Rosario was born and raised in the Seattle area and currently lives a book- and mountain-filled existence as a librarian in Colorado. 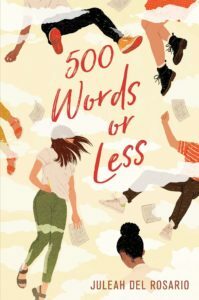 Her debut YA verse novel, 500 WORDS OR LESS, is about a high school senior who writes her Ivy-league obsessed classmates’ college admissions essays, and is slated for publication with Simon Pulse September 25, 2018. 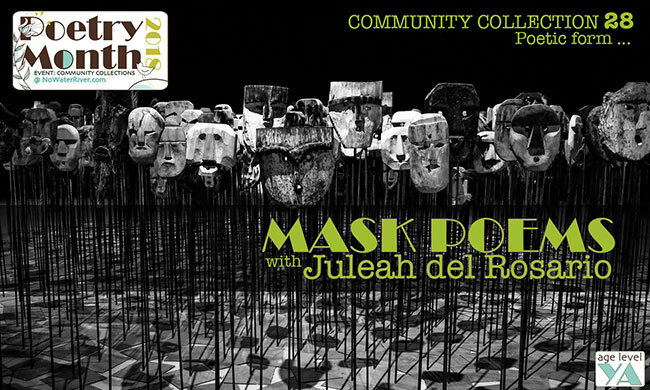 Discover more about the author and her books at www.JuleahDelRosario.com. 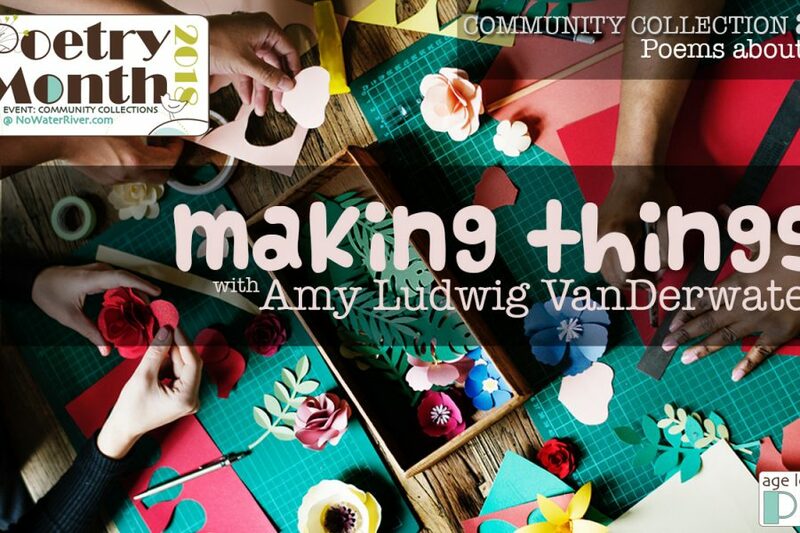 Don’t miss a prompt! Save this calendar to your desktop. Check out the poetry video library! 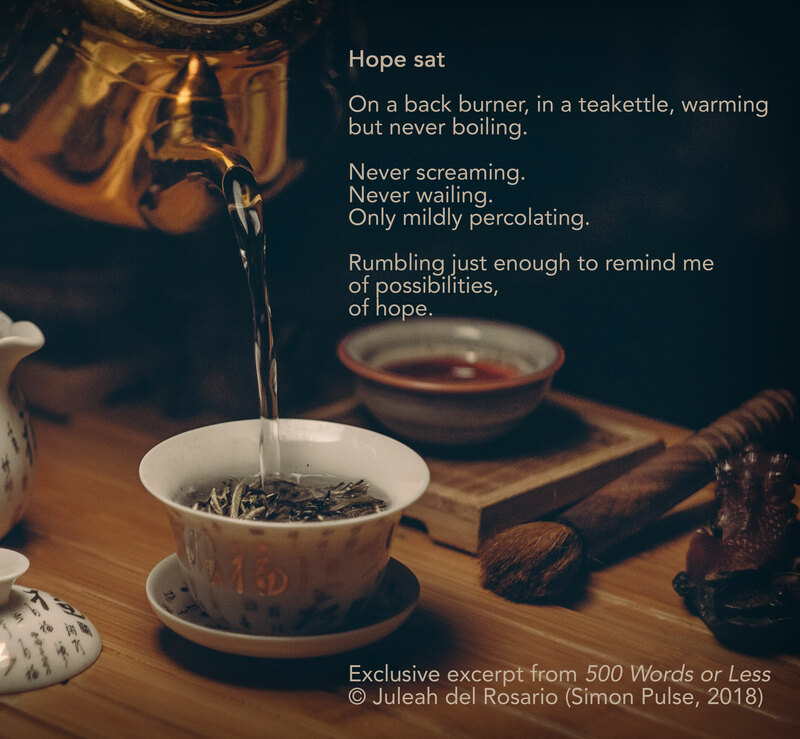 “Hope sat” and prompt copyright © by Juleah del Rosario. Copyright on community collection poems held by authors indicated. All rights reserved. Other post content © 2018 Renée M. LaTulippe or as indicated. All rights reserved. Masks by Ghost Presenter; Tea Kettle by Nikolay Osmachko; both via Pexels (no attribution required).